I initially love the setting and Ode's story. But this fantasy lacks action, Ode's adventure is so chill I wanted more confrontations, more combat, but instead, Ode is always fleeing or flying somewhere. Granted I haven't read book 1 and there seems to be a bigger plot at play here, yet there's no big spike in the flow of the story for FEATHERS to be exciting or thrilling. Aside from mild curiosity, sadly FEATHERS failed to engage me. 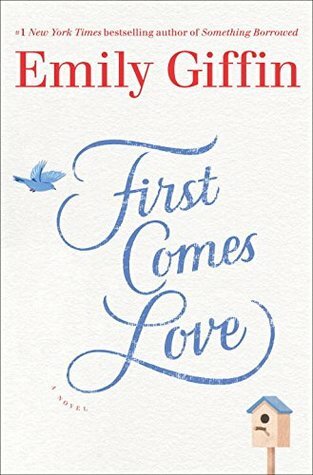 FIRST COMES LOVE is unlike any of the books by Emily Giffin that I've read. It's not romance driven, rather it's a love story about family sisterhood. Fifteen years ago, Josie and Meredith's older brother died from an accident and their family has never quite recovered from it. There are also other themes that were explored such as marriage in crisis, the perils of being single, motherhood, and career humps. The sisters Josie and Meredith are portrayed well, they're very flawed, sometimes relatable, yet they didn't quite endear themselves to me. My schtick is FIRST COMES LOVE dwelled too much on their brother's death. Fifteen years should've been enough time to deal with residual issues more maturely yet Josie and Meredith come at each other like emotionally handicapped teens. There were no poignant moments, just a lot of anger and resentment that leaped to the eventual resolution. The relationships between all characters evolved, but their characters not as much. By the end of this little story, I could care less about Josie and Meredith. OOH I'm in Braine! Thanks! Great reviews! I loved Bright Blaze of Magic too. First Comes Love is on my list to read, so I may grab it from the library soon. 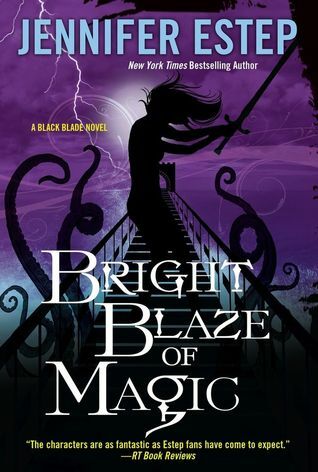 I'm listening to the second Black Blade book right now and am almost done. I'm really enjoying it! Thanks for sharing! Sometimes all you need are mini reviews. Thanks for the reviews. Hope you have fun being out there doing what you're doing. 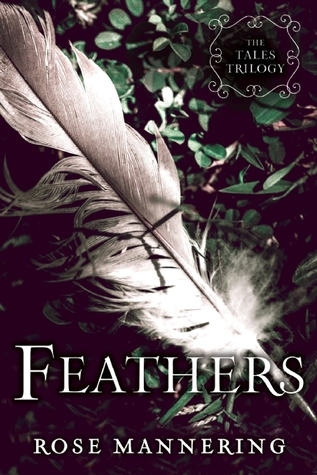 I almost downloaded Feathers from Edelweiss because it seems like such an interesting retelling, but it also seemed like the kind of books that would be kind of meh for me. Sorry you didn't like it! I didn't read the first book either, so you've made me feel better about my decision not to read this one. I've only read the Estep one but I really enjoyed it and had a great time with the story. I didn't know about the others. Really want to read that new Emily Giffin one, but I'm scared it might make me mad,too. Hmm. The Jennifer Estep series is one I want to read after seeing everyone's thoughts on it. I had a lot of fun with the Black Blade series and look forward to her next series too! I have yet to read Emily Griffin but I like the idea of a story about ties of familial love. I need to read Estep's series already, especially since it had a good ending. I love Jennifer Estep. I still need to try her other YA series. I loved Black Blade series and Gin and the gang are some of my favorites. I'm not familiar with the other two books. I'm sorry they weren't as good as you had hoped. I'll have to catch up on the Black Blade series, I loved the first book and own book 2 and 3, but haven't read them yet. Glad to hear you thought it was a good ending. Too bad about the DNF. Bright Blaze was a great ending to the series. I love that series so much.